Finally, a blanket that fits the very small and does not look like an overlong nightgown. In addition, in the usual high quality as with all Horseware products. 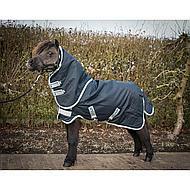 I bought this blanket for my minishetlander of 80cm. 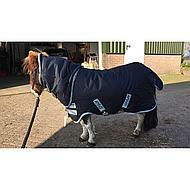 The blankets from the 'pony collection' did not fit her well, so just tried the 'petite collection' and that fits well! Fine fit, stays well, does not slide, nice and warm, nice that the neck is removable. Very happy! 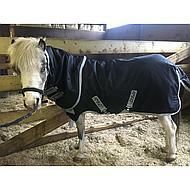 For the first time I bought Amigo blanket for our miniature horses, and am a fan! Perfect fit, practical chest closure, nice and solid finish.